(Reuters) – Total is set to become the first major oil company to invest in Britain’s nascent shale gas industry, boosting the industry’s profile in a country seen as one of Europe’s strongest prospects for unconventional oil and gas development. The French group is set to commit 30 million pounds ($50 million) to drilling for shale gas in Lincolnshire, in central England, sources familiar with the matter told Reuters. A Total spokesman would not confirm any details, but said an announcement would be made on Monday. The investment is tiny in oil industry terms – and especially small in the context of the tens of billions of dollars spent every year by Total, one of the world’s top five investor-controlled oil and gas groups. However, having such a large player as a partner will be a feather in the cap of industry minnows Dart Energy, Egdon Resources, IGas and eCORP, with which Total will partner on two exploration licences. The news will also allow Britain’s coalition government to argue that its incentives for developing unconventional oil and gas reserves are working. “It’s hardly a drop in the pond really, but the government wants to get shale going and having the big boys in there helps,” said Andrew Monk, chief executive of the resources-focused investment bank VSA Capital. A new set of UK land auctions next year could be pivotal, he said, adding: “We’ll see more deals and a bit more positioning between now and then”. Geological studies show Britain to have large shale reserves, which could reverse a rising dependency on energy imports, but more drilling is needed to see whether the deposits are economical. Britain’s government has thrown its weight behind shale gas exploration despite strong local and environmental opposition to the controversial extraction practice of hydraulic fracturing, or fracking – one of the techniques used to develop shale and unconventional gas blocks. Along with a handful of other countries including Poland, the UK is seen as a test case for the prospects of unconventional gas and oil development in relatively crowded, wealthy, post-industrial western Europe. Shale developers have made big money in some less populated parts of the industry’s birthplace – the United States – but in populous New York State, fracking remains prohibited. It is also outlawed in Total’s home country, France. More generally, landowners in Europe often do not own the rights to the minerals under their feet, unlike those in the United States. This removes a key motive for development and complicates life for would-be drillers. 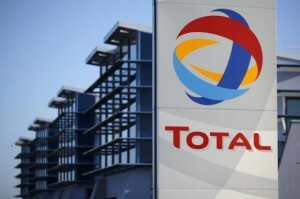 Total said last year that it would be interested in signing up for a position in Britain’s shale gas resources. Two large utilities – France’s GDF Suez and Britain’s Centrica – both agreed deals in 2013 to enter the sector.